With the weather warming up and NIWA predicting a drought, it’s time to put in our main summer crops. I’ve been holding off with the tomatoes as the evenings have still been a bit cool in our area. Finally the days have warmed up the soil, so it’s time to plant. 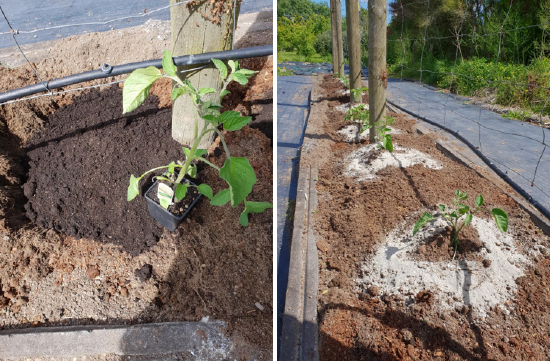 Growing tomatoes can sometimes be a bit tricky, but if you can get the soil and the conditions right, the reward is worth the effort. There are a lot of options for tomatoes. It all comes down to what you like to eat. Cherry tomatoes are easy to grow, but I prefer the larger beefsteak types. There are ones for sauces and others for salads. I generally find the older varieties have a better taste and do well in an organic garden. Unless you’re growing the bush varieties (determinate), it’s best to provide a structure for tomatoes before planting. They’re heavy croppers and a bamboo stick will not hold that amount of weight. Sunlight is also important as tomatoes don’t thrive in shady conditions. The hotter and sunnier the weather, the better they grow and taste. 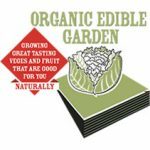 Before planting, add a good amount of organic matter/compost. Not only will this feed the plants, but will help with moisture retention. We also add animal manure in the form of chook poo, gypsum for calcium and volcanic rock dust because it’s a good all-round fertiliser. For more information on growing tomatoes, see here. The second crop are our beans. Beans are really easy to grow and are a rewarding crop. If space is limited, dwarf beans do well but they do have a shorter cropping life. 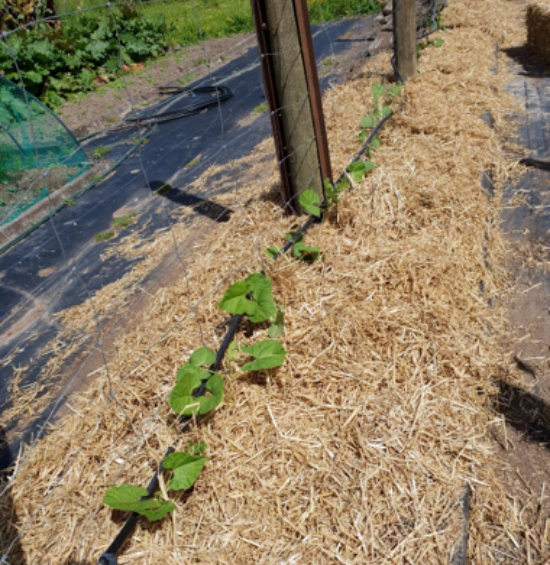 Climbing beans need a trellis or frame. Remember they can grow up to 2 metres and the wind can catch them, so make the support as strong as possible. 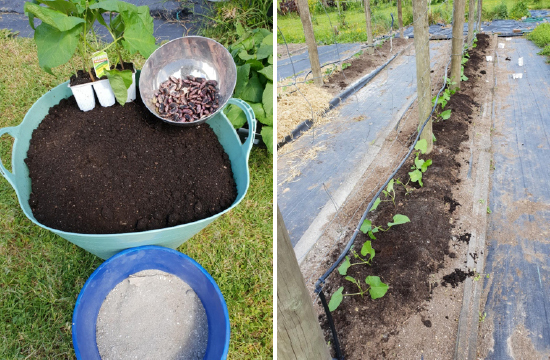 We like to plant a variety of beans and this year it’ll be our reliable Scarlet Runners, some Italian Flat beans and the Purple Pole beans for colour. The most common error with beans is lack of water. This makes them hard and stringy, so mulch well and water often. Beans also like less acidic conditions than tomatoes so a side dressing of lime is also helpful. No matter what you’re planting, or have planted, now’s the time to mulch mulch mulch. Mulch keeps in the moisture, keep the roots cooler and suppresses weeds. The garden will reward you for it.